BEIJING, China— Thirty-two contestants appeared at the Beijing MasterCard Center for the Miss Universe Competition for a chance to represent China in the worldwide contest. 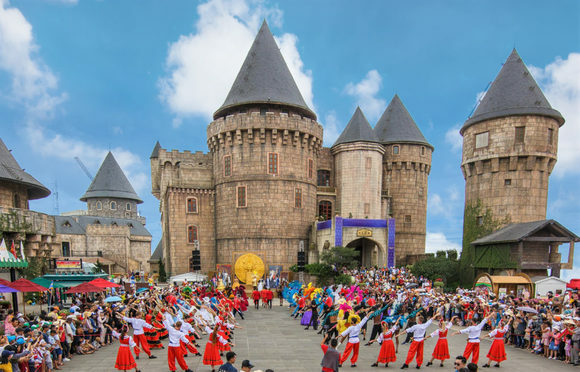 Supported by HARMAN Professional’s arsenal of audio reinforcement equipment, contractor Beijing Tianyin Caiyun International helped to broadcast the contest live on national and global networks, while supporting the live sound in the venue. The PA system was constructed of 48 HARMAN JBL VERTEC VT4889® fullsize line array elements, 16 VT4880A fullsize arrayable subwoofers and eight VT4887A line array elements. Two sets of six VT4889’s hung left and right, separately from the main speakers, with four of the VT4887’s hung to compensate the front area. Eight more VT4880’s were deployed on each side, while two sets of 2 VT4889’s lined the sides of the auxiliary area. 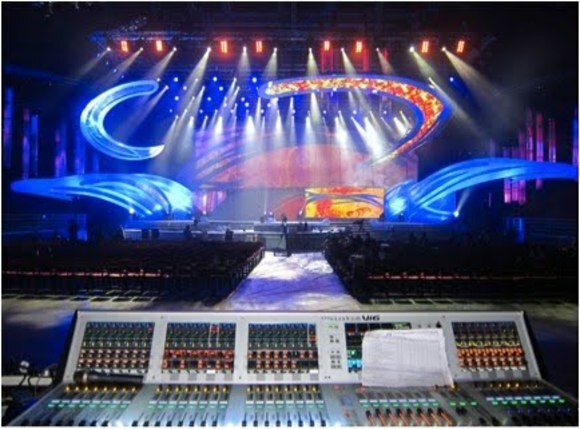 Two Soundcraft Vi6 digital consoles and one Vi1 digital console were used to mix the PA, stage feedback and broadcast audio. Fifty-six Crown iT9000HD digital amplifiers powered the rig, while BSS London BLU-160’s and dbx DriveRack260’s were used for processing. Twenty JBL PRX512M monitors lined the stage for performers. HARMAN application expert Stuart Dingwall upgraded the factory settings of the VT4889’s and Crown amplifiers to Version 5, changing the frequency of the crossover point and overall tone to improve the sound quality. As a result, the sound quality of the event was increased and bass was more vigorous. High and low frequency SPL was within ±3dB for an amazing specification and live sound.